This Wednesday October 26, 2016, the Royal School of non commissioned officers at Saffraanberg (ERSO - KSOO) was host to the yearly "Wings"-ceremony for the laureates of Promotion 2016 within the Belgian Air Cadets. Headed by Lt Gen Avi Ir Re Guido VANHECKE (Chairman of the ASBL of the Cadets) 48 laureates and their families were gathered around some aviation personalities in general and from the Air Component in particular. Gen Maj Avi Frederik VANSINA (Belgian Air Component Commander) honoured the ceremony with his presence and assisted Gen VANHECKE with the handing over of the "Wings" to each of the boys and girls (seven of them). During his speech, Gen VANHECKE praised these young Cadets, which had to go through a thorough selection procedure, be it medical and regarding their knowledge, learning to fly, the aerodynamics, meteorology and finally master the gliders and become "solo". They achieved their first dream - to fly - and are now eventually up to seek for a job on the civilian or military market. 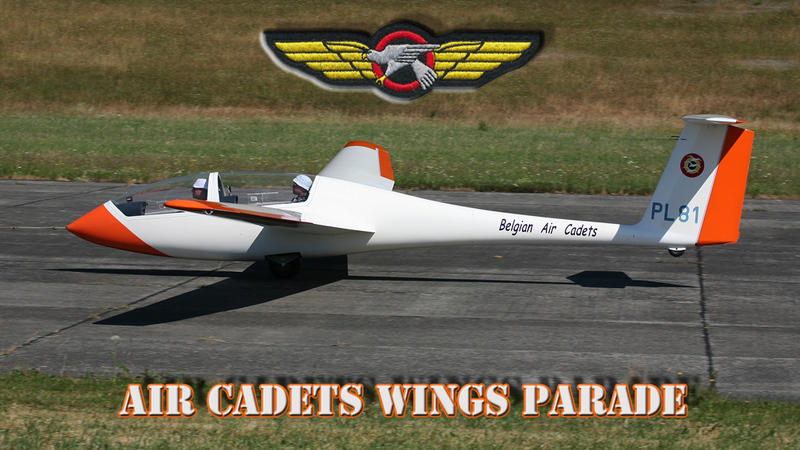 The great majority of the Air Force pilots went through the Belgian Air Cadets of which the training and team spirit served them as a springboard towards their aviation career. The QTeam-firm handed over a cheque to the Chairman of the association as a sponsoring to finance especially the exchange programs of Cadets (this year two Belgian Cadets went to Australia). Followed by an emotional moment during the testimony of a mother and a father recalling an exceptional year accompanying their son/daughter throughout the training with the emotions, anguishes, satisfactions and pleasure. At last, a young F16 pilot from Kleine Brogel gave an overview of his own experiences and particular souvenirs with the Cadets (some 10 years ago), as a student-pilot and at last as a pilot. Through these lines, SBAP wishes to thank heartily Gen VANHECKE, Cdt PERSYN and 1 SM ROLLIN for their kind invitation and the quality of their welcome. can be found on their site, just click on the patch.